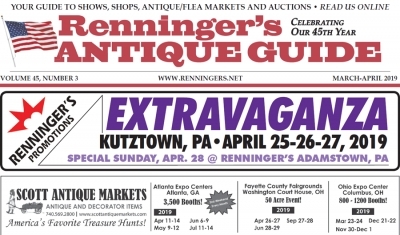 Read the March-April 2019 issue of the Renninger's Antique Guide Newspaper. You will find informative articles and information about antique shops and shows. 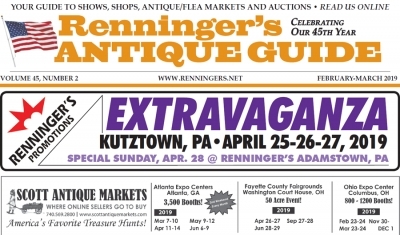 Read the February-March 2019 issue of the Renninger's Antique Guide Newspaper. 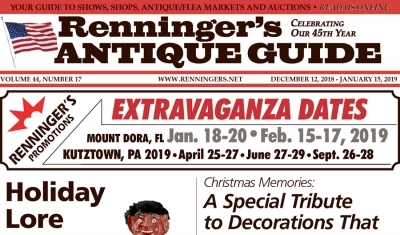 Read the January-February 2019 issue of the Renninger's Antique Guide Newspaper. 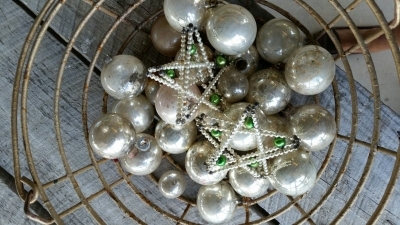 Read the December 12th issue of the Renninger's Antique Guide Newspaper. The Holiday's are here and with that comes "help"...always adding to that gift list it never ends. So Renninger's Flea Market and Antique Center is playing Santa. We are having a three-day event of Holiday Yard Sale fun...bring last years decorations, gifts, clothing, furniture, antiques, collectibles, toys and everything else you can turn into cash for Christmas! Bring your tents or tables $25.00 per space, our pavilion tents and tables $75.00 per space. Come out for a fun weekend and a big change from the mall. 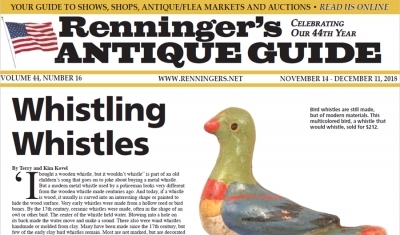 Read the November 14th issue of the Renninger's Antique Guide Newspaper. Read the October 31st issue of the Renninger's Antique Guide Newspaper. Read the October 10th issue of the Renninger's Antique Guide Newspaper. April 25th through the 27th (Thursday through Saturday) is our Antique and Collector's Extravaganza in Kutztown! 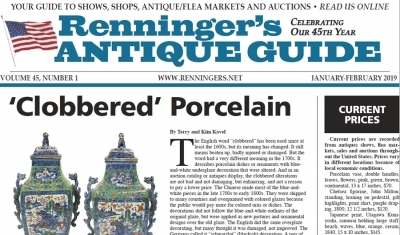 Read the September 5th issue of the Renninger's Antique Guide Newspaper.